Club membership and registration: Club membership package includes: Club Membership, Gymnastics Queensland registration and sports insurance. The membership and registration package is non-refundable. The Gymnastics Australia registration and sports insurance component is transferable between clubs but not from one gymnast to another. The club membership and Gymnastics Australia registration is valid from the date of payment until the 31st of December of that calendar year. Please note that only financial members are covered for insurance purposes. Membership & registration fees are renewable from 1st January and must be paid prior to your child’s enrolment in a class, event, or activity. Enrolling into a class: An initial trial class is offered for all classes at the rate of $15per class, a maximum of 2 trial classes can be attended. After the trial if you wish to enroll the parent / guardian is required to complete and submit a club membership form and pay a $50 deposit which will be deducted from the term invoice. Recreational Fees: Fees are calculated on a term basis, with typically 9-11 weeks in each term and approximately 40 weeks per year, generally aligned with the public school terms. New gymnasts starting partway through the term are charged on a pro rata basis for the remaining weeks in the term. Lesson fees are required to be paid in full or a minimum of 2 weeks in advance and on an approved payment plan before your child is permanently enrolled into a class. Gymnasts are not permitted to participate in the class until fees are paid and paperwork submitted. Failure to pay: Fees must remain at a minimum of 2 weeks in advance at all times. If a payment is missed the member will be contacted via email or phone informing them they have 7 days (or by their next lesson) to make payment. Once paid lessons have been attended the gymnast will no longer be enrolled in that class, to re-enrol the gymnast a 2 week minimum payment and arranged payment plan is required. Missing Classes: If gymnasts miss classes, leave early or arrive late this does not entitle them to a discount on fees. Lesson fees pay for a position in a class and the cost to the club remains the same whether you attend or not. Refunds are only permitted under certain circumstances – Please see refund policy outlined in this document. Make Up Classes: You must inform the club that your child will not be attending prior to their class starting to be able to claim a makeup. Make-up lessons must be booked in prior to the lesson and are offered only if a position is available in that particular type of class. Make up lessons must be taken during the current term. If a child is unable to attend for two or more weeks due to illness or injury, a credit/refund for missed classes can be obtained by presenting administration with an appropriate medical certificate for the missed period. Public Holidays: No recreational classes are held on public holidays. This does not entitle parents to a credit/refund for a missed lesson as the account has already been adjusted at the time of booking. Other Activities: Competitions, private lessons, extra training sessions, day camps, sleepovers, etc. are to be paid for at the time of booking, however lesson fees must be completely paid up to date in order to book for one of these activities. Ceasing gymnastics: Gymnasts/cheerleaders not returning the following term must give 2 weeks’ notice by either email or direct to administration. Payment Options: Over the counter we accept…..
All questions regarding fee amounts should be directed to the administration office during business hours or via email on accounts@gymsportsfnq.com.au Please do not approach coaches regarding fees. Competitive Fees: Competitive squad training fees are calculated on an annual fee system; which is inclusive of the set holiday training through selected periods.. The invoice will be broken into 12 minimum instalment amounts, each due on the 1st of the month. However, families can set up a payment plan that suits them; paying weekly, fortnightly or monthly. Payment plan forms can be collected at the counter, for families to set up directly with the nominate bank. Should a gymnast change training group or a group increases hours during the year, a separate one-off invoice will be issued for the additional amount owing or to show a credit balance. If you choose to finish part way through a year/term you will be required to advise GymSports FNQ with 4 weeks’ notice. A closing balance invoice will be issued, covering the outstanding fees up until the end of the 4-week notice period. This final invoice is to be paid in full. All fees are non-refundable unless a written request is made, accompanied by a medical certificate to verify illness or injury. If you choose to leave partway through a term, fees will be forfeited. Annual membership is not refundable. Lesson fee refund will not be given for missed classes or early withdrawal from a class regardless of attendance. Should a class be cancelled the club will endeavour to provide a makeup class at the next most convenient time. Any classes cancelled due to a competition or event will be taken into consideration and removed from invoices for that term. Competition fees: If an athlete is not able to attend a competition due to illness or unforeseeable circumstances, a refund will be sought from the organising club.  GymSports FNQ will request a refund on your behalf, however once fees are paid it is at the discretion of the organising club to refund nomination fees. If and when the fees are refunded to us we will pass this refund onto the gymnast. Competition nomination and levies: In the case of illness/injury where a medical certificate is provided, the nomination levy less 25% will be refunded after the event (subject to change depending on host club conditions of entry). The coaches levy is required to be paid in full as this levy is calculated per gymnast nominated to cover coaching costs.